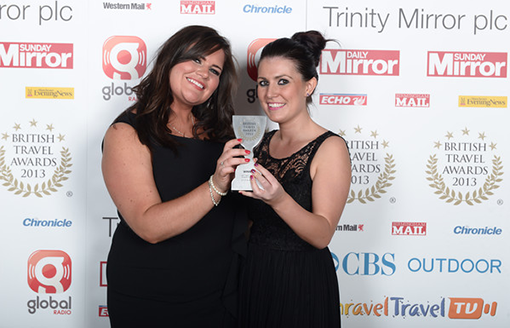 onebestway client Activities Abroad claimed two major awards last week in the British Travel Awards. Here's Annabel and Ashley. First, they won Best Small Holiday Company for Families. Second, they won Best Small Holiday Company for Activity/Sport.